Wagyu is a breed of cattle originally raised in Japan that is known as Kobe beef. American Wagyu cattle are hand-picked and fed a unique diet to make the beef richly marbled and flavorful. 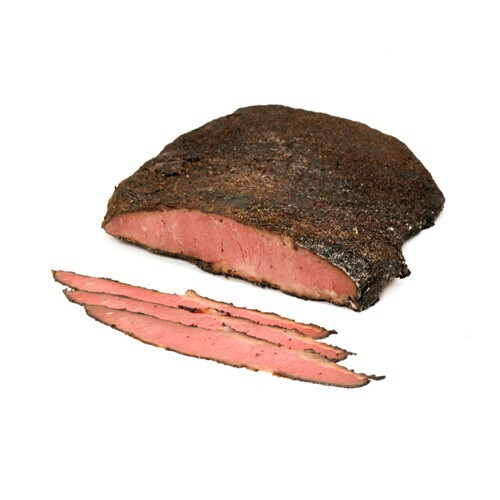 Our Wagyu pastrami is so tender and velvety that it melts in your mouth. Excellent with Swiss cheese and mustard on rye bread.